Sorry but we're sold out ! New date for Irma in September 2015 coming up soon. Stay tuned ! 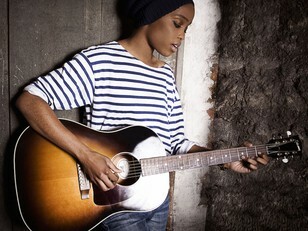 First HK concert of young French-Cameroonian folk-pop talent, IRMA. Performing in English, she will be featuring her latest album, "FACES". IRMA will be touring South East Asia (Singapore / Vietnam / Thailand) in May before her May 30th HK gig.